Top court to consider whether Lee Boyd Malvo, tried as a juvenile, should have a more lenient sentence. The US Supreme Court has agreed to consider whether a man serving life in prison over his role in a deadly 2002 shooting spree should be re-sentenced because he was only 17 years old when he took part in the Washington-area killings. 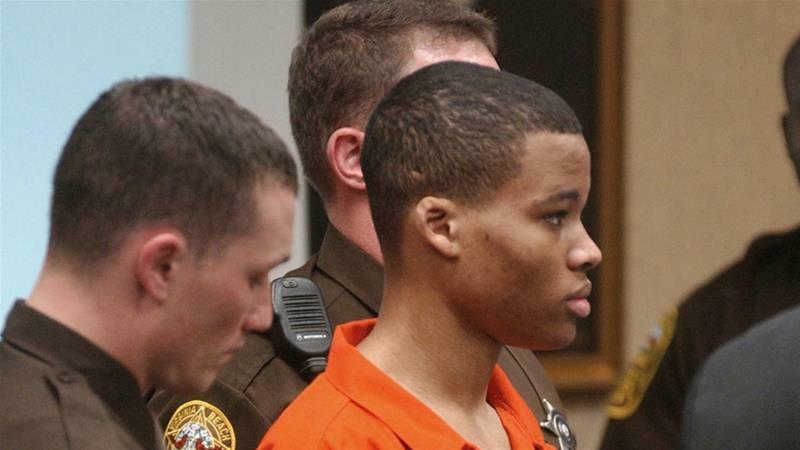 Judges said on Monday they will take up an appeal filed by the state of Virginia objecting to a lower court’s decision that ordered Lee Boyd Malvo’s sentence of life in prison without parole in the so-called “DC Sniper” crimes be thrown out. If Malvo wins, he and others in cases involving certain crimes committed by minors could receive more lenient sentences. Along with older accomplice, John Allen Muhammad, Malvo shot dead 10 people over three weeks in Washington, Maryland and Virginia. Muhammad was convicted and later executed in 2009, at age 48, in a Virginia state prison. Malvo, now 34, received four life sentences in Virginia, where he was convicted of two murders and later entered a separate guilty plea to avoid the death penalty. He also received a sentence of life in prison without parole in Maryland. The US Circuit Court of Appeals for the Fourth Circuit ruled last year that he should be re-sentenced. The appeals court said Malvo’s life-without-parole sentences were legal when they were imposed. But it said Supreme Court decisions since the shooting spree had found mandatory life sentences without parole for juveniles were unconstitutional, and found this rule applied retroactively. The appeals court said a resentencing would determine whether Malvo qualifies as “one of the rare juvenile offenders” who can be sentenced to life without the possibility of parole because his “crimes reflect permanent incorrigibility”. Instead, if his crimes “reflect the transient immaturity of youth”, the court said he’s entitled to a sentence short of life without parole. As is typical, the justices did not make any comment in agreeing to hear the case. The top court will decide the case in its next term, which begins in October and ends in June 2020. Can You Get Out of Jury Duty? How Can a Religious Organization That Supports Crooked Practices Survive?